As the world's foremost authority on glass, each year The Corning Museum of Glass publishes publications about the history, technology, or art of glass and glassmaking. San Diego Visual Arts Network ( SDVAN) is a database of information produced to improve the clarity, accuracy and sophistication of discourse about San Diego's artistic and cultural life and is dedicated to the idea that the Visual arts are a vital part of the health of our city. "The magic is in the light." 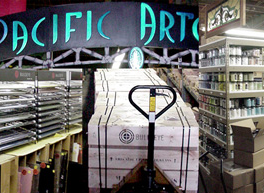 The American Craft Council is a nonprofit organization dedicated to championing contemporary American craft. AmericanStyle is a full-color, quarterly consumer magazine focused on contemporary craft, craft collectors and the artists who create studio craft art. Glass FOCUS is the only contemporary glass periodical that provides extensive coverage on gallery exhibitions, museum shows, artists, news, and events in the continental United States, Canada, Mexico, Europe, Japan and Australia in a concise, readable format four times a year. The Magazine for HOT GLASS Artists was founded April 16, 1987 and serving the Flameworking glass community for over 25 years! GLASS Quarterly is a glossy art magazine published four times a year by UrbanGlass in Brooklyn, New York. With four-color printing and the highest production values, the magazine presents serious discourse about glass as a medium for contemporary art. The Association of Clay and Glass Artists of California is dedicated to establishing and maintaining high standards of craftsmanship and design in clay and glass. 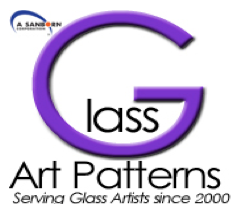 The International Guild of Glass Artists, Inc. is a non-profit 501 (c)6 organization formed by a group of interested stained glass artists from across the US and Canada in the early 1990s to further the use, display and promotion of glass as an art medium. The National American Glass Club, Ltd. The National American Glass Club, Ltd. is an international a non-profit educational organization founded in 1933 for glass collectors, scholars, dealers, artists, educators, and students, all those concerned with the study and appreciation of glass, regardless of type, period or origin.